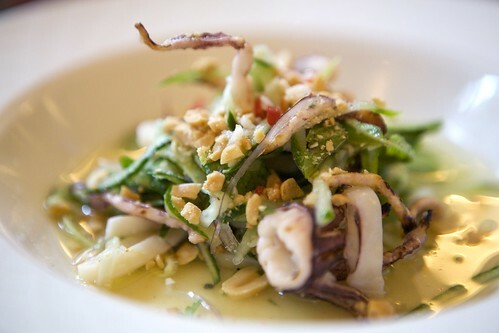 We started off with the gỏi calamare, a squid salad with fish sauce vinaigrette, Thai basil, cilantro, and greens, should be considered an appetizer rather than an entree. Unless of course, you’re the ones who’d like to eat light. 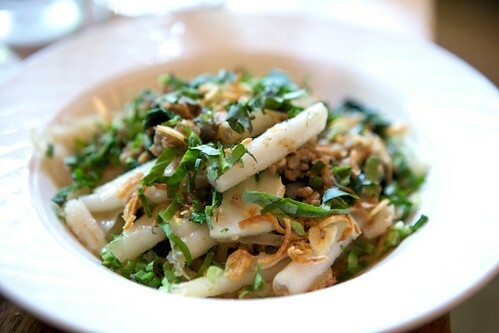 This salad is very refreshing and it has a good amount of heat without killing your palate. The bánh mì au poulet was a solid sandwich in every way possible – fresh ingredients, great bread (most likely from Sullivan Street), and a good ratio of filling to bread (and fatty goodness). But for my own palate, this is a tame sandwich. 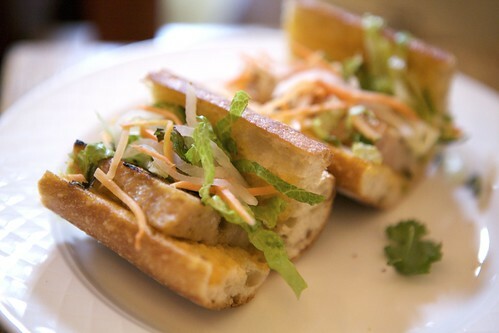 It lacked that interesting contrasts of flavors that makes a bánh mì a bánh mì. 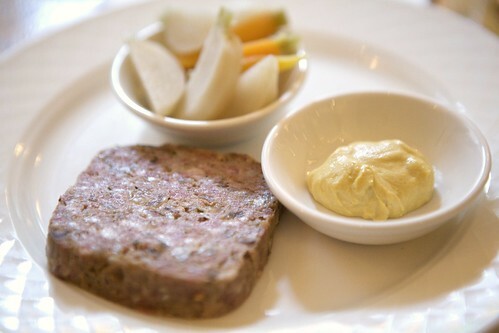 The pork and porcini terrine (off the mezzanine menu), was a great pâté. 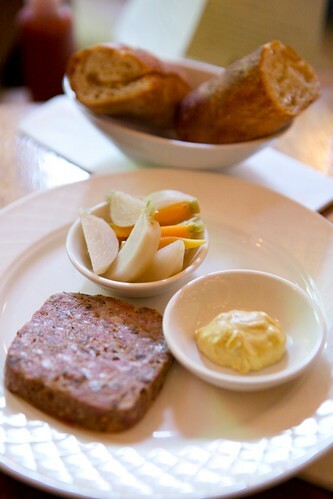 It’s nicely balanced in terms of flavor and it matches the superb quality of what Bar Boulud serves (for pâté). The bún du riz was probably my favorite dish of the bunch we’ve tried. The bún rice noodles are not the rice vermicelli noodles that I’d normally associate for a traditional bún (unless I’m wrong, by all means do correct me). The ones used here are flattened sheets of rice noodles that’s been rolled up and been pan fried that it gets that lovely crisp crust on the exterior contrasted with the chewy innards. The saw leaf, or culantro, was the dominant flavor besides the mildly spicy and porky ragout. Personally, I would prefer something acidic or something spicy to mix things up in terms of flavor. But I do remember when we gotten to the bottom of this dish, there was some vinaigrette (I just wished there’s more). In terms of portion size, this was quite substantial for the average eater. 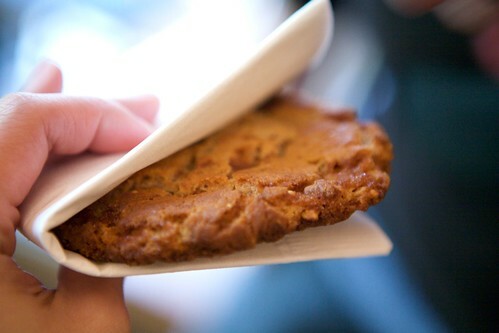 When we wrapped it up and asked for the check, they gave us a peanut butter cookie. It’s the same ones that they have downtown at the Milk Bar. Everything was delicious even though, it’s served in an upscale setting. ah… this place is going to be a madhouse once they’re “officially” open. 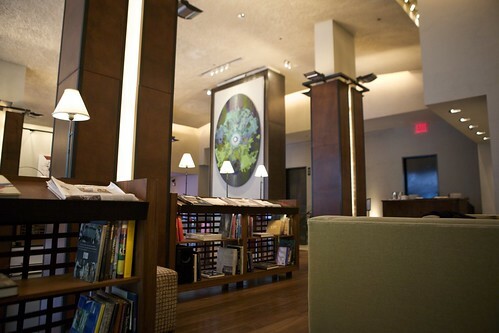 how great that it’s in midtown! Nice! I went there yesterday as well, but they were out of the banh mi. :( but the burger I ordered instead was grrrreat! Perfectly seasoned pretty rare and tasty as all get out. I love that it’s affordable, too! Danny: When Zach and I spoke to Cory Lane and joked the fact that when it does officially open they’ll have a line that would stretch around the block, he didn’t want me to say it so loud. 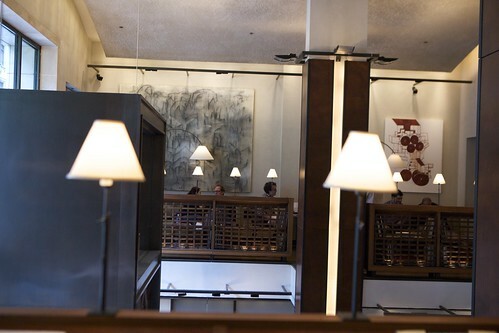 He hopes this “Momofuku mania,” if you will wouldn’t piss off the hotel since they’ve been nice to them to have this space. 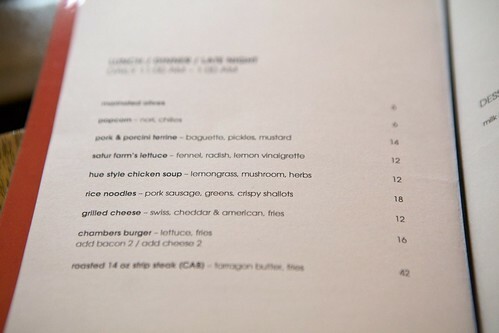 dbdtron: I thought it’s a bit odd to have a burger from Momofuku. When Cory told us what kind of beef is in there, it’s another gussied up burger made with wagyu and another fancy cut of beef that I forgotten. But I might try it next time. 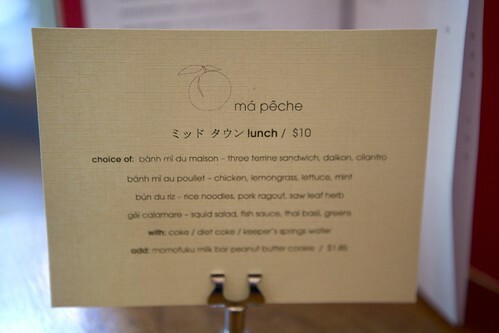 Yes, the affordable Midtown Lunch menu was a bit of a shocker. Love pate! Yum! Great shot! Your photos are stunning! 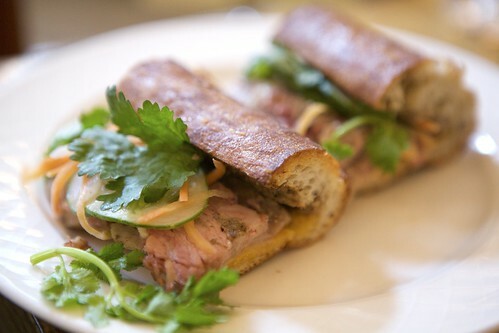 I just visited and enjoyed the sandwich, but I agree it is rather tame for a banh mi. But otherwise good food that is reasonably priced.